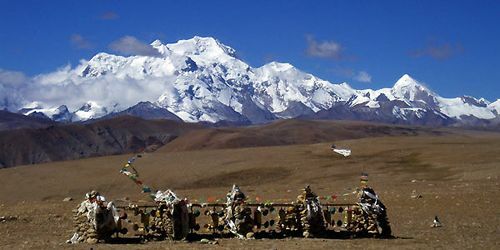 The unique high attitude, exotic culture, highland landscapes and friendly people in Tibet offer perfect photo opportunities to all those foreign tourists. Here are some helpful tips for travelers with a hope of photography. Take necessary technical precautions to protect your camera in case of extreme temperatures due to the harsh climate. It's a good idea to take enough film and batteries. Photographing in monasteries is generally allowed; however taking pictures inside the chapels is forbidden or usually charged at extremely high rates to prevent photography. However, Drepung Monastery allows inside photography and charges no fee. Try to bring more films, one time more than the ordinary amount according to the experience. You'd better avoid buying films in Tibet, especially in those lonely areas, unless you prepare to buy some fake films. Take more spared balconies, as the low-temperature in Tibet will greatly shorten the duration. Take care of your camera. Do not let it insolate under the sunshine; do not use the camera when it is unclear or rainy. Respect the person you invite to take picture and avoid to disturb them. If it is necessary, you can send them some tiny presents, which is much better than giving them money. In Lhasa, maybe there are some avaricious guys asking you for money when you take pictures in public places. You can refuse to pay money strictly. You'd better equip the camera lens with UV lens to protect the camera lens and also make the sky captured bluer. If it is possible, take a small tabled-tripod and photoflash lamp which will bring you much more fun for your photography. To take pictures in the hall of the monastery, do remember to ask the lama for permit.